Using your mobile devices to improve productivity – SarawakYES! (Above, from left to right) Examples of apps that can boost your productivity in college: Alarmy: Sleep If You Can; My Study Life; SaveME 999 Polis. With mobile devices such as smartphones becoming more affordable and widely available in the market, it’s no surprise that students, especially in college, would have at least one smartphone for their daily use. 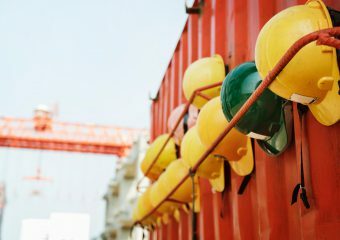 But instead of using their mobile devices purely for pleasure and distraction, students can actually take advantage of these digital technologies by incorporating them into their routine for a more convenient and enriching college life. Plus, as we have mentioned before, mobile applications or apps for education have proven to be effective for students to engage and perform better in their studies. In the classroom, you can now digitally capture what you’ve learnt with apps that enable you to write and store lecture notes on your mobile device, record lessons in audio format, and photograph or scan additional information on a whiteboard or documents. Popular apps of this kind include Evernote, CamScanner, and Office Lens. If you’re sharing notes or working on a group assignment, you can store and share your materials among your classmates through a cloud storage app, be it Dropbox or Google Drive. To organise and remind yourself of your class schedule, assignment deadlines, exam dates and other activities, make use of a scheduler app; for instance The Homework App, My Study Life, and Scheduler. If you prefer to drive, having navigation apps such as Waze and Google Maps help you get around your locality, especially if you’re unfamiliar with the area. Otherwise, you can opt for an e-hailing app like GRAB for your travel needs. 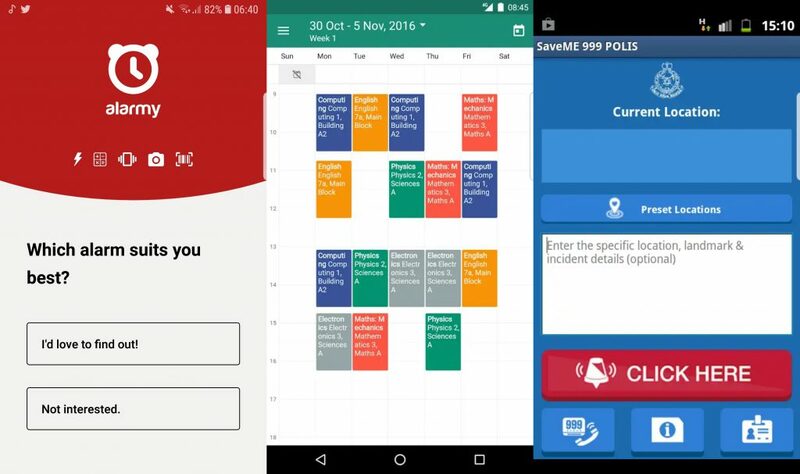 For your safety, you should get SaveME 999 Polis, an application in the form of a panic button designed for Malaysians to use during police-related emergencies. You can also use Circle of 6, where you ensure your safety and security by designating six of your close friends and family members whom you can easily contact when the need arises. 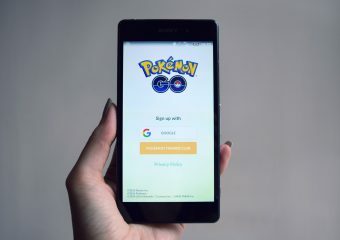 In your free time, enhance your mental capability with countless brain-boosting gaming apps in forms of puzzles, numbers, language, or general knowledge. To monitor your progress towards a healthy lifestyle, download apps related to fitness and healthy eating. There is also an app called Calm, which encourages you to increase your mental performance through meditation exercises. In need of an alarm clock that truly wakes you up? Then consider Alarmy: Sleep If You Can, an alarm app that won’t shut off unless you complete small tasks, from taking a particular photo to answering a maths question.